UPDATED: Thu., Feb. 7, 2019, 10:07 p.m.
It’s time to share the spotlight, Midwest – frigid temperatures, heavy snow and biting winds are coming to the Inland Northwest. While not quite polar-vortex freezing, the Spokane region did wake up to a cold snap Thursday morning, with thermometers plummeting to as low as 6 degrees. Temperatures are expected to remain well below freezing moving into the weekend, with up to 6 inches of snow and heavy wind gusts that could make the outdoors feel closer to zero. Wilson said the region should expect snow to begin Friday morning and continue through the day before stalling in the evening. Then, early Saturday morning it should pick up again and fall throughout the afternoon – about an inch or so every six hours. Some areas to the north and east could see several more inches. Near the Cascades and the Waterville Plateau to the west, 8 to 12 inches could fall. High temperatures are expected to hover in the mid-teens and low 20s in the Spokane area. As if there weren’t enough reasons already to stay indoors, Saturday also will see wind gusts that could approach 35 mph. The weather service warns wind could push snow onto roads, creating hazardous driving conditions. 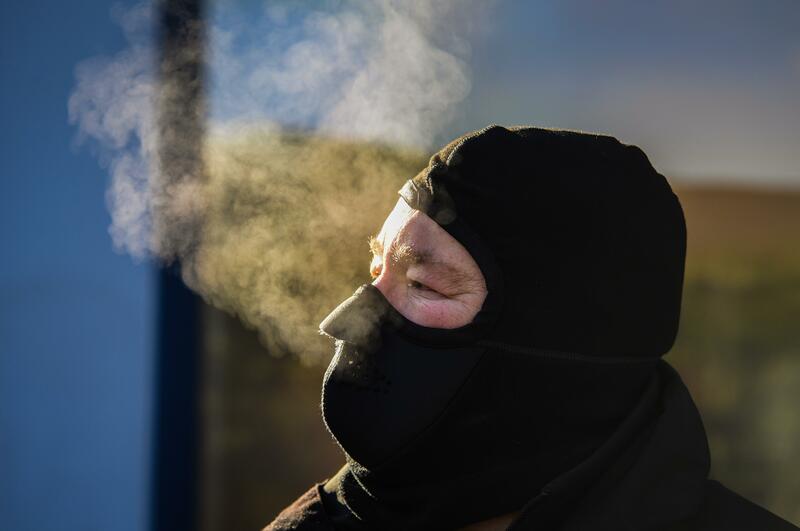 Thursday’s early-morning temperatures were the coldest so far this winter season, and about 20 degrees lower than an average February temperature range, according to weather service data. But it wasn’t anywhere near the record for the day. The coldest Feb. 7 on record was in 1883, at minus 15. Published: Feb. 7, 2019, 12:37 p.m. Updated: Feb. 7, 2019, 10:07 p.m.